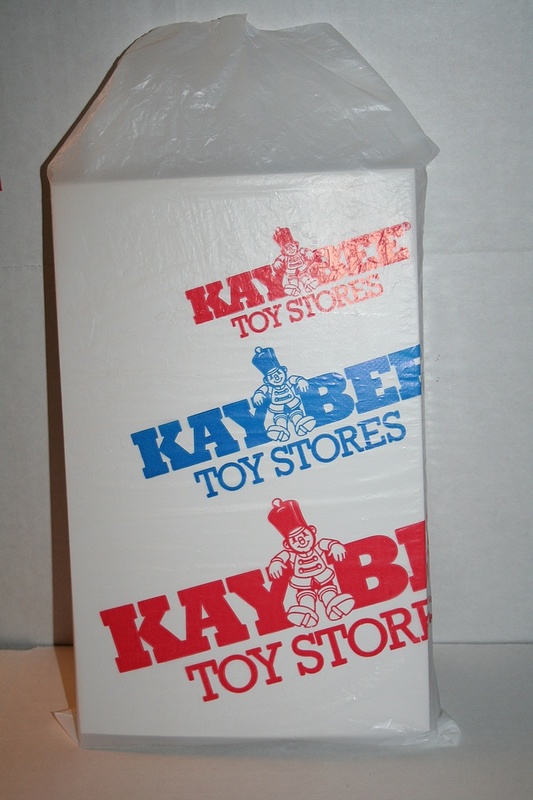 Starcom eBay Lot - in Kay-Bee Bag! 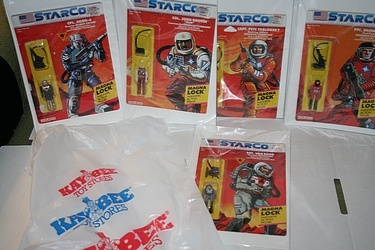 I lucked out with some low low prices on carded Starcom figures a few weeks ago, and have been so busy that I didn't open the shipping box until just now. 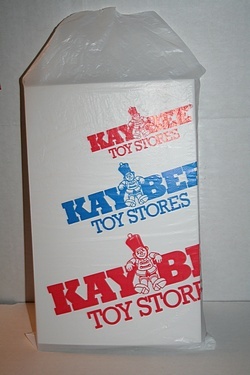 Well, you can be certain that a thankful email was rapidly drafted to the seller, when I found that the figures had been lovingly wrapped in an old-school Kay-Bee bag! Beyond that, each one was 'bagged and boarded' on what appear to be comic supplies - what careful presentation! I like to imagine that the bag I received is the actual same bag they have been living in all these years, and how they first left the store, on mega $1 clearance, so long ago!